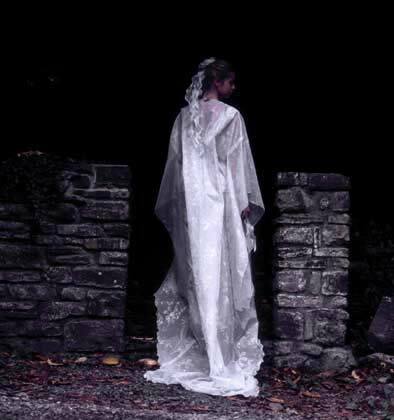 The dress under the cape has a knot of the pleated silk in the front and a deep V at the back. 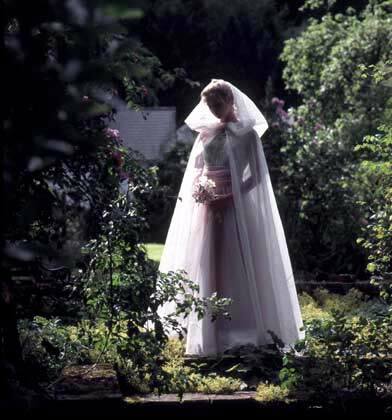 Another unusual wedding dress photographed in the herb garden close to the kitchen. We called this dress Josephine – a light reference to the Empress because of the Empire line – a flattering shape which emphasises the feminity of the wearer. 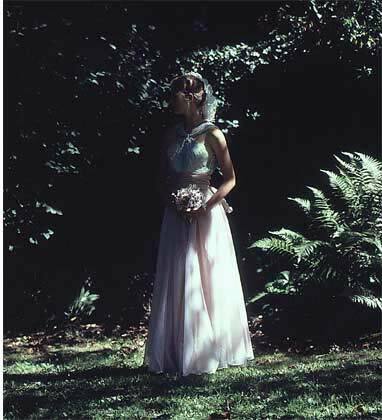 The skirt is a silk/viscose velvet printe d with a tiny leaf print in silver. The inspiration for this wedding outfit was the Kimono. Having been costume designers and makers for the opera ‘Iris’ the collections following captured the timeless quality of Kimono. 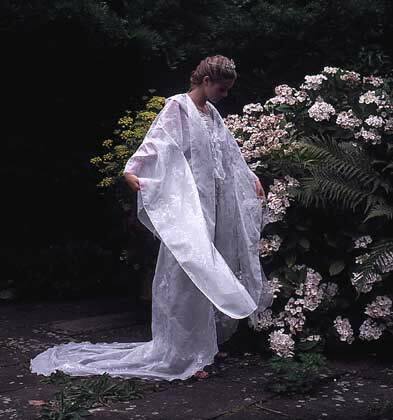 The back of the kimono shows the delicate transparency of the fine silk organza. 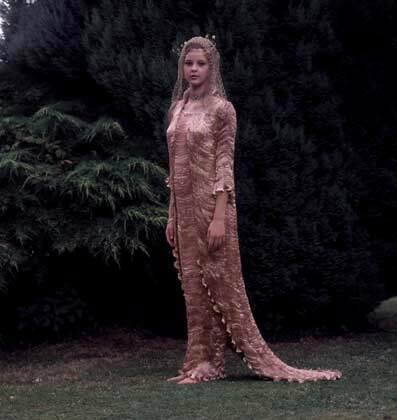 Using our signature hand pleated silk this dramatic and unusual wedding gown is perfect for the girl who wants something very different for her wedding. It is romantic and has a timeless quality that will never date. Her daughter will be able to wear the same gown some time in the future without looking as if she has stepped out of a gone-by era. 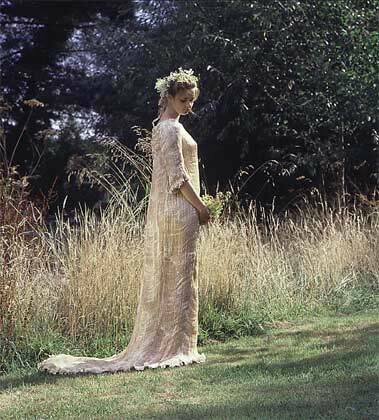 Another very unusual wedding gown that captures the colour of the faded grasses.